Donny McCall is the inventor of the Invis A Rack from Season 3 that made a very big impact on the Shark Tank for his stance to keep this product "Made In America". Incredibly it was this decision that probably cost him a deal with the Sharks as he did not get the investment he needed for his invention. McCall was looking for $100k in exchange for 10% of the Invis-a-rack business. At that time, Donny has sold 150 units and grossed $50k in sales. Donny was very adamant about keeping the manufacturing and production in the U.S. and specifically in and around Sparta, North Carolina where he calls home. He's a one-man business that hopes to bring job's to the community and bring new hope in the depressed market. Getting the Invis-A-Rack manufactured overseas is Not an option he will even consider. This product was invented in the U.S. and it will be built here (period). Robert Herjevic asks if the large distributors have been interested in carrying this product and whats the price points. Donny says he has not been able to make a deal with them because they currently want too many points. He can make the Invisarack for $250.00 and they want to buy them in the low $300.00 range. Herjevic wants to know what kind of volume would it take to get it down to $150.00 per unit. McCall is not sure he could get it that low here in the U.S. The very wise Kevin O'Leary wants to test the theory of the Invis-A-Rack produced overseas versus in the United States. If they can make as few as 1000 units for $150 per Invisarack then for $150k Donny could get into the big distributors and be in profit immediately. McCall acknowledges that O'Leary may be right but it still is not an option. Donny firmly believes he can get into the retail sector and still make a good profit using only U.S. Made Materials. Daymond John says "but you don't have any orders". He has plenty of businesses that want to sell Invis-A-Racks but they want him to supply the product for free. John responds " So you are not only going into the manufacturing business, but you're also going into the financing business"? Daymond asks if they could find a quality manufacture oversees that could make this much cheaper, would he be interested? Again, NO that is not an option. Donny seems to be more on a mission to create new jobs in America and the Invsarack is only a vehicle to make that dream a reality. The Sharks try their best to convince him that his business and product is not sustainable if the invisible truck rack cannot be made cheaper. O'Leary uses Apple as an example, they employ 50,000 people here in the U.S. but the actual product is made in China and overseas. Can you imagine how much more an iPhone would cost the consumer if it was 100% Made In America? But McCall is not Apple and he refuses to budge even a little bit. Three of the sharks go out and only Robert Herjevic and Mark Cuban are left. Donny looks right at Robert and simply says "A Factory Workers Son" that immediately hits a chord with him. Robert understands what Donny is trying to do and really gives an emotional speech that brought him to tears as he remembers his Dad when they first came to America and worked in a factory. You would have thought Herjevic would write him a check right then but He cannot get over the fact that in this case, it might be best to get the Invis-A-Rack manufactured overseas and create jobs here on the back end. Cuban also sees the path that Donny has chosen will be very expensive to finance with no real way to judge how much more capital may be required before they are over the hump. 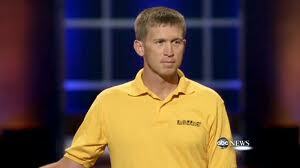 Unfortunately, they also go out and McCall does not get an investment from the Shark Tank. As you might already imagine, the Invisarack website got slammed the night Donny appeared on the Shark Tank Show and ended up selling all available inventory in a short amount of time. A lot of folks can relate to McCall's Story and they came pouring in by the thousand's to congratulate him for standing up to the Sharks and his belief in keeping jobs here in America. Included in those calls was an American Manufacture from Iowa that said they could compete with the overseas companies and get the Invisarack made here in the US. at the same cost. He also got a call from Home Depot that was interested in possibly carrying the Invis-a-rack in the warehouse stores across the country. It appears that a deal with Home Depot fell through but that call from Iowa turned out to be exactly the kind of deal McCall was looking for. The company is a Truck Accessories Manufacture DeeZee.com from Des Moines, Iowa. It also looks like they may have an exclusive on this product which is featured on the front page of their website. McCall also has the IvisARack re-directing to the DeeZee.com site as well. The Deezee plant is 700,000 square feet that manufacture, package's and ship's truck accessory products around the country. Yes, I had to look and according to their website, 90% of all the parts they use are made in America. Not 100% but considering how many products they manufacture, it is an impressive number. 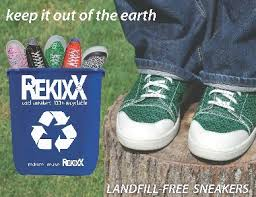 I'm not sure if Deezee was able to get down to the $150.00 price point to manufacture this product but even if they lowered their profit point to secure this deal, they are still going to make out very good from the additional "Shark Tank Effect" promotion that it will bring to their business. This is one Success Story that is a Win/Win/Win for everyone involved and our country itself for bringing this subject up on National Television. Is paying a few bucks more for a product that is Made In America worth the extra cost? In my opinion, absolutely Yes! 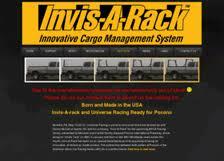 Invis-A-Rack Now Available and Proudly Made In The USA! I'm confused, didt he want it manufactured in his home town? Or at least near it? So its not really a win in that aspect right? You're right. Mr McCall wanted the work done in North Carolina- so I thought. He just wanted the parts made here in the U.S.A. I love a good success story like this one. It IS a WIN/WIN/WIN for EVERYONE............including Donny McCall. I give this man kudos for standing his ground in every bit the same way as any of the 'Sharks' did and do each time they have to make a financial decision which appeals to their patriotic loyalties. Kudos to DEE ZEE for making the offer to Mr. McCall, and thank God for folks like Mr. McCall who are the small business and economic backbones of our country. INVIS-A-RACK: Coming to a truck in my neighborhood AND family. Thank you. You said a mouthful! Thumbs up! we're living in OUR economy. I like the guy and his commitment to American made. But I think he's wrong. Sure he can have this company in Iowa make the rack and sell a few hundred a year. Let's assume 50 people make his product. But if he makes it overseas and can get into Home Depot at a lower price point and make millions, he could very easily employ 50 people in the U.S. doing design, advertising, sales, finance, admin, etc. functions. Plus these people could work near his hometown because it's a lot easier to find people to fill office jobs than it is to find a factory or people with specific manufacturing skills to make his product near his hometown. I think he made a mistake. Not making a mistake because he stuck to his belief and his goal. And he has faith. If it is meant to be, IT WILL !!! I give him credit for that and being strong in his belief and not being afraid to say he believes in Jesus! None of the above are easy decisions nowadays!! The Shark Tank members didn't win. They should have invested in his product idea. I'm surprised they didn't figure out that he could easy increased the retail to $750 for that product and still retain enough profit margin to mfg the product in the USA. At least he got a deal and is working. He failed. Deezee is the one that's working. 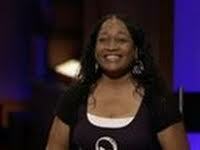 Shark tank guys don't have manufacturing companies in America. Donny basically just straight up ended up selling his idea to Deezee. The guy doesn't own invisirack anymore. just bought one for less than 500$! Awesome Donny! way to stand up for what ALL Americans should believe in, US! Awesome Product , Awesome Inventor ! Thank God there are still guy's like this left in America. Yes he can employee marketing, finance, or office workers. Myself, born and raised in North Carolina can tell you that those are not the vast skills of our job force. Our state is/was hard manual labor folks. Tabacco farms, textiles mills, furniture factories. Those are the folks he desired to employee. Sure he could ship over seas and employee marketing and finance individuals but our work force is primarily the aforementioned. All of our factory and textile jobs have been sent overseas and left our economy crippled. I respect Mr.Mcall and his value to help his neighbor, sure it didn't turn out like he hoped but he is still making an American product and providing factory labor for folks who need it. My family all were in factories and hosiery mills so I understand 1st hand the values he has. Mr. 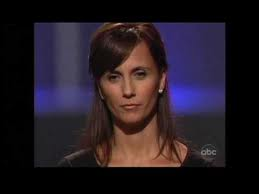 McCall....I just watched you on shark tank...had I been an investor I would of backed you....just because you spoke of our Heavenly Father....and Him and Him alone will open doors no one else could ever open...so I am so glad to read that you have made it...and I know you have given honor to your Heavenly Father Jesus Christ....amen. Donny McCall is an American Hero. Thank you Donny for standing your ground. I'm sick of corporations turning their backs on the American worker. Make it in America, and hire AMERICAN WORKER's to make it!!! God Bless America!!! And charge an outrageous price for it because of our high wages and benefit packages and have little overall sales. If things can be made profitable her they will. Why do you think electronics are no longer made here. I read an article that said if a 50" Samsung TV were made in the states it's cost would be near double. Maybe wealthy people wouldn't mind paying double but I sure don't. Bravo for Mr. McCall. He is a true patriotic American who cares about others!! I couldn't believe shark tank passed on this... if it could be patented this could have been sold not only directly but also as an option on new trucks. I thought this was one of the better ideas and hope that this is the most successful of all of the shark tank presentation. Amazing that everyone wanted to OUtSource America on this... good thing Rob's fathers "factory job" wasn't up to his son to decide if he would hire him. Shameful? Or just business??? To all the blue collar people in this thread, business is nondenominational... nor is it patriotic! It does not claim affiliation to ANYTHING!!! That's reality! The opportunity to chase after your entrepreneurial dreams is what America is all about. Low margins will get you nowhere. We are no longer living in the early/mid 20th century. As Bob Dylan wrote, "The Times They Are A-Changin'". We have evolved! You are so very correct! Perfect explanation! Saying a business can't have an allegiance or ideals sounds like an excuse of a selfish business person who is only concerned with themselves. What you are is what you do. This man is a good person, trying to do right by his ideals and his country. This man has sufficient enough margins to still be in business and maintain his beliefs. So I guess your wrong. I accept your apology. We live in Sparta, NC, and my lady friend, with whom I live, used to deliver mail to Donny McCall's home. Sparta is a really neat little town---the county seat of Alleghany County---but definitely needs some business success. As Donny said, several large businesses, which employed plenty of people, have moved out of the area, so Donny's point, and his goal, was quite admirable. Even if he couldn't create a lot of employment here in Sparta, he at least was concerned with American business altogether. Great guy! It's a start, and I am impressed with Donny and his ideals.